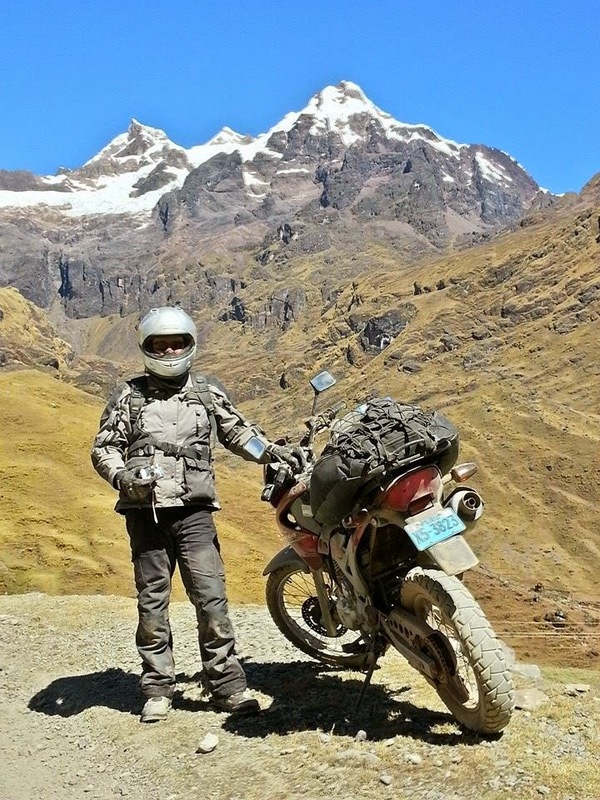 Dream Your Ride : Live Large, Work Hard, Live The Dream! Today I was finishing up some paper work at the end of my day when by good friend and brother Ken popped in. He'd just made it back the Sturgis Motorcycle Rally and stopped by to give me a rally shirt. I was surprised and very grateful! 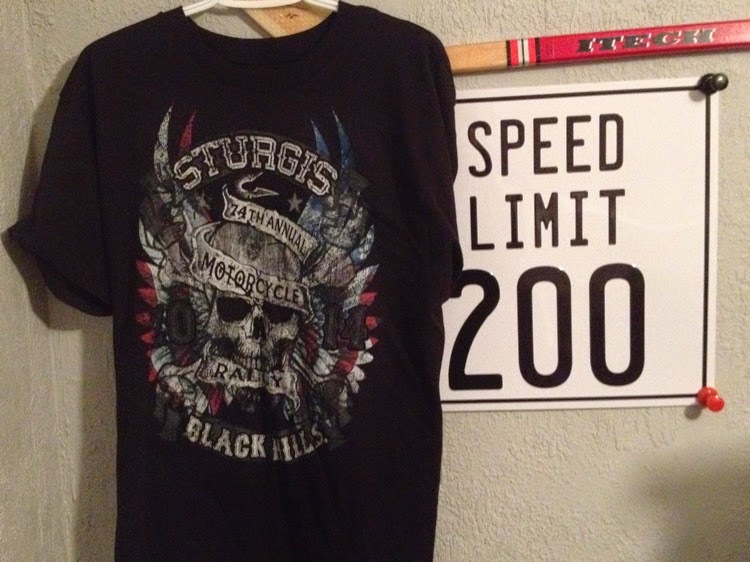 My 2014 Sturgis Black Hills shirt. Thank you Ken! Ken and I had an "eventful" 2013. A year ago I was laying in a hospital bed recovering from a ruptured appendix that went septic and according to my surgeon was "gross" and could have ended my ride permanently. That life event slowed me down for 6 weeks and I missed a 2 week motorcycle ride down the California coast and Central Arizona. A few days earlier Ken had a close call while on his way to the 2013 Sturgis Rally that could have cost him his life. He never made it to South Dakota and spent a few weeks recovering from some bruising and cracked bones, not to mention rebuilding the front end of his motorcycle. 12 months after our close calls with the reaper, we kept the dream alive and lived large. 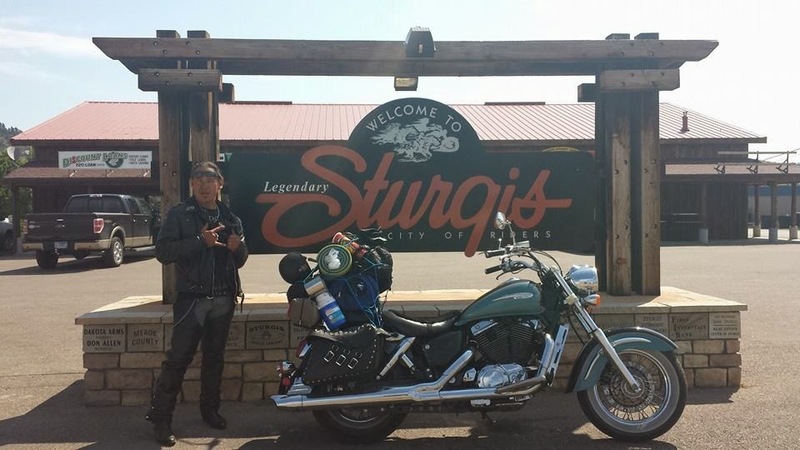 I took a dream ride through the Peruvian Andies and my friend and brother made it to Sturgis. Life is precious and can be fragile so give it all you've got every minute of every day. Ken, you are my brother and I'm thrilled you had a great trip to South Dakota.